New Orleans’ air conditioning takes a little more wear and tear than air conditioning elsewhere. The city’s high summer temperatures paired with sweltering humidity means that air conditioning in New Orleans must run consistently throughout the summer months, not only to keep homes cool, but to rid the air of excess moisture. The strain of continuous labor placed on these New Orleans air conditioning units shorten their lifespans significantly while increasing the expense of cooling. This means that local homeowners can find themselves without the comfort of air conditioning on the hottest day of the year in one of the country’s hottest locations. Even with an air conditioning unit limping along, the cost of operations can skyrocket as it struggles to meet demands placed on it. Utility bills can reach as high as $500 each month when these units are not maintained at their optimum performance. In either case, New Orleans air conditioning repair and maintenance is as vital to the well-being of locals as visits to the dentist or regular auto tune-ups! In order to keep air conditioners running smoothly and efficiently, New Orleans homeowners have come to trust the air conditioning repair provided by the professionals at Robert Refrigeration. The air conditioning repair technicians at Robert Refrigeration are among New Orleans’ most experienced experts in the field of heating and cooling. Our long history of serving New Orleans’ homeowners has earned us a reputation for honesty and efficiency, and with years of air conditioning repair under our belt, we’re able to quickly and accurately assess air conditioners’ symptoms and get relief underway immediately. 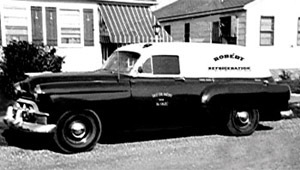 Since 1950, Robért Refrigeration Service, Inc., has been serving the citizens of New Orleans by keeping them cool in the brutal humid summer months, and warm in the winter. Now the third generation of family members is keeping up that tradition in New Orleans.